Now have I captured your attention with my strange blog post title? Yes-no? Well let me explain. Today’s blog post is all about writing and readers but did you know that, writers don’t WANT everyone to read their books? Why? The simple fact is because writers have specific readers whom we want our work to reach, and some people we genuinely don’t want to have as readers. This took me a little while to understand this. For some years I believed I had to chase every living person out there to get them to read my work. And this is absolutely the wrong thing to do. With some clear thinking and time taken to sit back and explore I now have a very clear and specific idea of the person I’m writing for when I’m planning and writing each novel. Simply put, I know what I write is not going to appeal to everyone. My writing is going to appeal to people who share certain values that matter to me, and who love some of the same genre and content I love. In writing what I love—my ideal readers will love the same, and consequently, my fiction will fit them. This must apply to almost every other writer out there too. To explain more fully, my stories all have a certain retribution factor within them. So you’re my reader if you love real-life heroes who are usually the underdogs and struggle to do what’s right against enormous odds. You’re my reader if you believe in right and wrong, and you want the characters who are struggling in my story to do things right to win. You’re my reader if you love stories where one person beats the odds to make a difference. You’re my reader if you value creation over destruction. You’re my reader if you love characters in worlds where things go wrong more often than they go right, and the solution to the problem is simple, plain common sense. You’re my reader if you love the shivers you get when you first open a new book and the mysterious story begins to unravel itself, word by word. You’re my reader if you know love matters above all else, and you’d never hesitate to save your love if facing death. If you fit this ‘mould’ you’re my reader, welcome. I have a whole cornucopia of stories to tell you. Thanks for dropping in, have a fantastic day and week ahead! 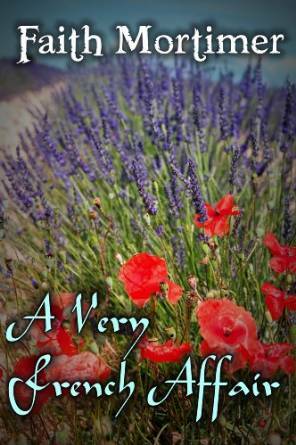 A Very English Affair - Danielle Collingdale is moderately successful in business but hapless in love. Danielle’s world takes an unexpected upturn when handsome and wealthy Christian Douglas enters her ordinary life and sweeps her off her feet into a passionate affair. Within days, their involvement develops from an ardent romance into genuine love. But the lovers seem fated…because while planning their new life together, a catastrophe threatens their devotion, putting their relationship to the ultimate test. Will this shocking and tearful discovery tear them apart or can they find the strength to overcome their ordeal and live a joyful life? 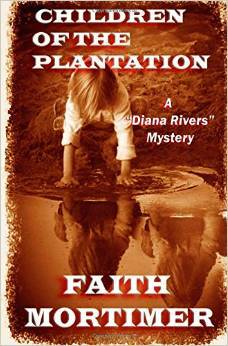 Children of the Plantation - Relaxing on holiday at their luxurious palm fringed plantation hotel in lush, tropical Malaysia; things don't quite work out as imagined for Diana and Steve. Diana is approached by the hotel owner, the enigmatic Miss Chalcot, well-bred, imperious and secretive, to take a look through some old family documents. Miss Chalcot possesses a burning ambition to put right a dreadful wrong which occurred over sixty years ago. Diana is given free rein to pursue the mysterious past of the family and discover what lies behind the dark stories. I do hope you take advantage of this special offer...go on spoil yourself! Hello there and good morning! Because spring feels just around the corner, I thought it would be nice to lower the price of one of my romantic women's fiction novels. A Very French Affair is a long time favourite with readers worldwide, and for this weekend...starting now...I'm delighted to say it's on sale for just 99c or 99p in the UK. Go on, spoil yourslef with a little French Affair of your own! I hope you have a super weekend, everyone! This is the first Amanda Prowse book I have read and I was looking forward to it. I read the book blurb but didn’t realise the main subject matter covered the mix of physical, emotional, and social triggers which result in anorexia; a serious mental disorder. This is by no means a book on how to treat anorexia, it is more of the whole disastrous scenario of what a debilitating disease and its effect can have on a close-knit family. The start of the story shows us one perfectly ordinary, happy family. The pace is slow and gentle…lulling the reader into a sense of false security. The author gives us detail about the family. Freya, the mother, thinking she is in control because she knows and ‘writes’ about food. She bullishly insists Lexi, the anorexic 15-year-old daughter stays at home while she deals with this ‘blip’ in Lexi’s life. Lexi’s father, Lockie doesn’t at first realise the seriousness of the situation. Once he accepts that Lexi has a serious mental illness, he argues with Freya that pure love and keeping an eye on Lexi at home will not work. She needs more extreme treatment including hospitalisation. The person I felt the most sympathetic was Charlotte, Lexi’s older sister. Overlooked, ignored to a certain extent, and battling with her own problems with her forthcoming A-levels and simply growing up. The book is well written, flows well and easily absorbed by this reader. I found myself wanting to get back to my read each evening, but there were a few things which jarred. Freya was an absolute pain. She was full of love but couldn’t bring herself to be firm with Lexi. She turned away from outside help to a great extent until it was critical and this was probably the reason that Lexi ended up so sick. On the whole though the family were believable. This is an emotive and for some, a harrowing read. It helps show what this mental illness is like. As well as the harsh and horrific effect on the sick person, anorexia rips through the lives of those living around the patient. I award 4.5 stars for The Food of Love. My first Amanda Prowse read and probably not the last. Well done. Hello there and a very Happy New Year! Today, I am delighted to bring you details of my latest novel, PARADISE PRISON. This is the fourth addition to my Dark Minds Psychological Thriller series, and I am thrilled that so many of you keep asking for more! For newcomers to the series, please note that all books are completely stand alone and can thus be read in any order. A bit of background on the story...I was fortunate to spend three years in the Caribbean and explored the majority of the region's beautiful and often diverse islands. Hence the setting for Paradise Prison. The island I have chosen although fictitious, is based on a tiny speck of land off the mainland coast of Colombia. During a huge row, Gillian stands up to her abusive boyfriend. The consequences are horrendous and far-reaching. Terrified, she flees her home, seeking anonymity abroad while coming to terms with the outcome of her actions. In Portugal, Gillian meets Harry, a yachtsman, needing crew for his Atlantic Ocean-crossing. She applies for the job. Half-way into the journey, after confessing to her crime, Harry offers her refuge on an uninhabited island in the Caribbean which he says he owns. Confused and depressed, Gillian imagines this is the answer to her problems. She needs time to lie low and consider her options; confront the authorities or live in obscurity? Harry is offering the perfect hiding place…or is he? When things start going horribly wrong, she asks herself if she is alone on the island. But maybe the biggest question of all is why she gets the gut feeling Harry wants to keep her there at all costs? What happens when she says … no? Please share this post on Facebook, Google, Twitter, Pinterest or whatever your chosen social media might be. If you take a screenshot of your sharing, I'll enter your name in a draw for a signed paperback copy. Paradise Prison is available in paperback and eBook. For a short time the retail is just 99c or 99p (eBook format). Why not treat yourself or a friend...the perfect novel to add to that new eReader you had for Christmas! For those readers who are not familiar with the Dark Minds Psychological Thriller Series, you might like to know there are three more books...On Devil's Brae, Behind a Twisted Smile and ﻿The Green Room﻿. All available on Amazon. Thank you for dropping by and a Happy New Year! As we're almost about to enter the season of goodwill and festivities I've begun to reduce the cost of some of my novels. The first one is shown here, On Christmas Hill and it is on sale for just 99c/77p! So why not treat yourself (or someone else) to a 'real feel-good HEA' read today. 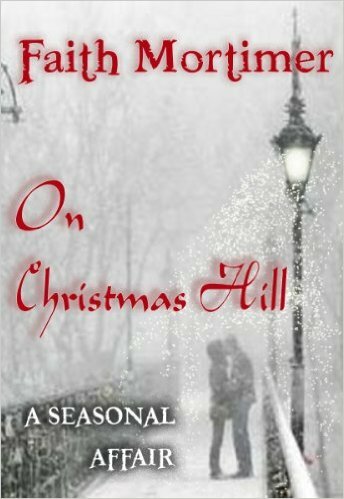 This review is from: On Christmas Hill (A Seasonal Affair) (Kindle Edition) (Mrs S S) This is a lovely romantic Christmas story that you can curl up in your favourite place with your favourite tipple and something lovely to pop in your mouth every now and again and get lost in the story. Single mum Catherine and her five year old daughter are living in a small flat while Catherine works in a post office. She finds a 40 year old lost love letter and Catherine tracks down the recipient and delivers it, then this lovely story goes from strength to strength from there on in. Faith perfectly captures the atmosphere of a small town in England, she captures the nostalgia of wonderful wintry weather as she leads up to and including Christmas day, she captures a child's joy of Christmas and of course she captures the emotions of our lovely single mum who has to overcome heart ache caused by two men and her own parents. Romantic stories by default are formulaic but it is how you treat this formula that makes a good read and Faith has certainly done that with this book. I would love to see this story made into one of those Christmas films that are shown on the TV around Christmas time; in fact it would be better than some of the ones I've watched previously. 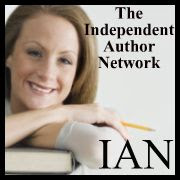 Many of you know that I write in three genres, and each one is a series of books. Numerous writers enjoy writing series and it may come as a surprise to many readers that writing a series of books is, not always a particularly easy matter. 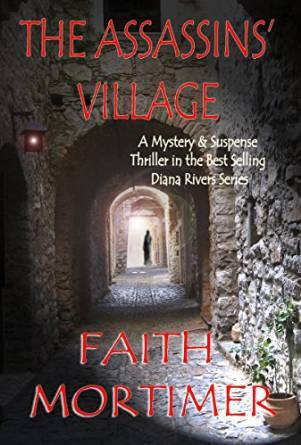 My first series was, The Diana Rivers Mystery Murders, and I soon found there were several chief factors which had to be considered when I first created my central character and the surroundings Diana exists in. It is not just a matter of mentioning the geographical location. 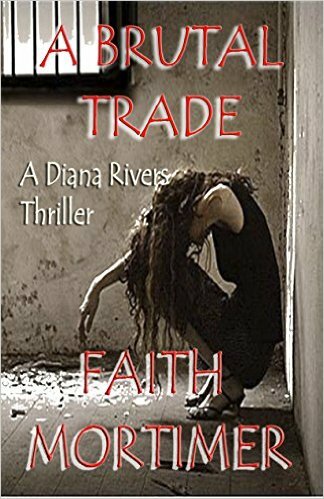 As a writer I include the characters who complete Diana’s world plus, I usually choose a different location for each book I write if possible. This helps keep the storyline fresh and if I include enough descriptive passages (not too many), I can sustain several different scenarios and create appropriate natural tension to keep developing my main character. But I must remember that I write series, not serials by instalments. Each book should be a stand-alone experience, otherwise if a reader came to the final page and realised the story continued in another volume they would feel cheated. The difference is simple - a reader can pick up any book in the series, without having read previous novels to get straight into the current story. Sometimes, I give the secondary character their own story. These extra stories give an added dimension, enriching the strength of character exchanges. The stories run along the main theme, and can often subtly interweave with the main protagonists’. Encounters are measured and mercurial, delicately introduced. My two-other series (Dark Minds Psychological Thriller Series and the Very Affair Series) are all most definitely standalone novels – and possibly easier to write. But, that’s what I love about writing – every book is different. 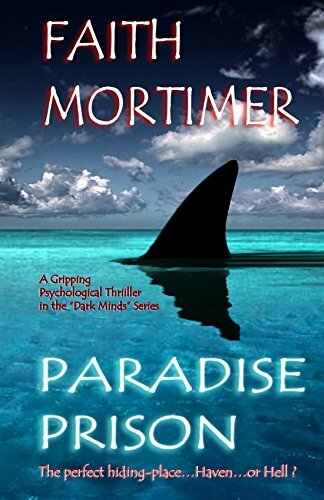 My latest novel is, PARADISE PRISON, the 4th Dark Minds Psychological Thriller and is currently available as a pre-order on Amazon and other book sites for just 99c/99p for a limited time only. Paradise Prison will be published in eBook and paperback on January 7th 2017. Thank you for popping by to read this post. Today I am thrilled and delighted to let you know that today is PUBLISHING DAY... for, A VERY DISTANT AFFAIR. 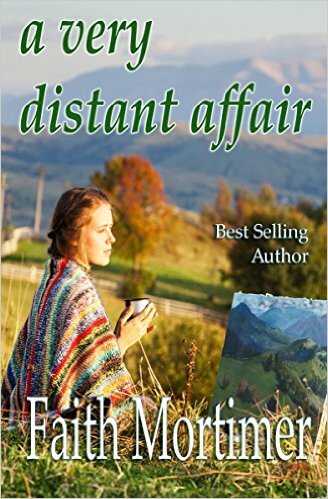 This is the 4th book in the 'Very Affair' series and is classed as women's literature. Feeling uncomfortable and troubled over her friend’s warning, Cheryl decides there is more to life than being successful and at the beck and call of a manipulative husband. 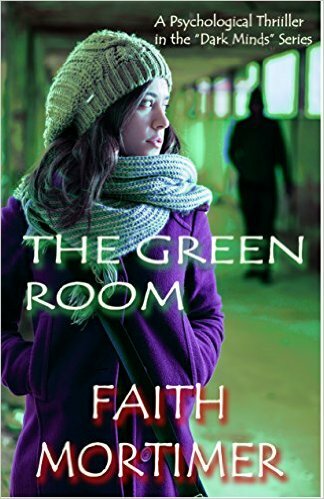 She sets out to find what she really wants from life, and to her horror, discovers one earth-shattering secret after the next. Her life in turmoil she visits Australia, where on a previous trip, she found contentment from an unexpected quarter. Michel, a widower, owns a winery and boutique hotel in New South Wales, and is as different from Daniel as chalk is to cheese. Cheryl is drawn to this gentle Australian of French descent and feels her new-found strong will wavering. She returns to London to offer Daniel an ultimatum, only to discover the final shock which threatens all their lives. My new book is available on all good book sites and is discounted - for a limited time only - at 99c/99p. After that period it will then retail at normal price. I do hope you enjoy your read - please let me know your thoughts afterwards - and if you care to leave a review then it will be very much appreciated.